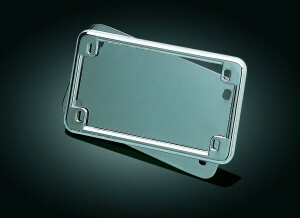 Our “Horizontal” and “Vertical” Side Mount License Plate kits will really clean up the back of your Victory “Cruiser”. 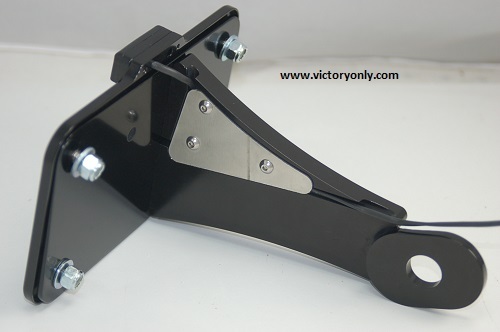 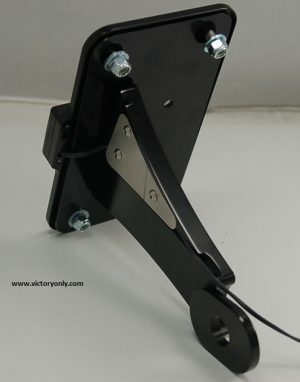 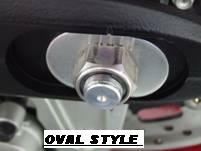 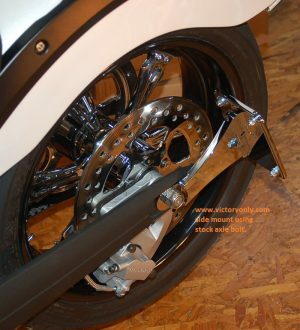 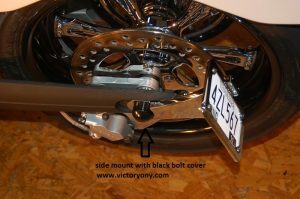 This Side Mount License Plate kit mounts to the left side of the swing arm in place of the oval axle adjuster plate & is secured with the axle nut. 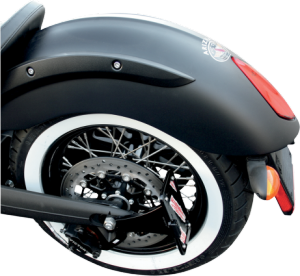 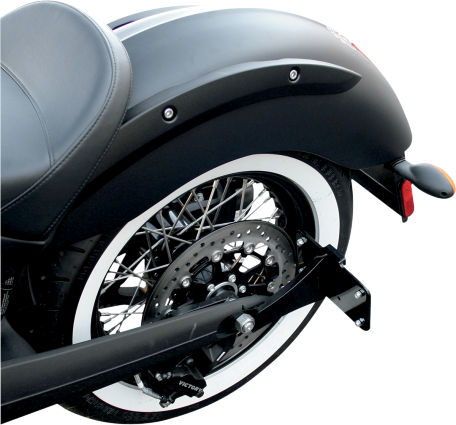 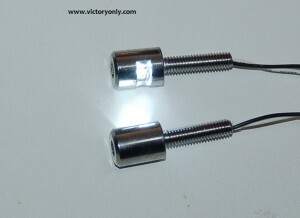 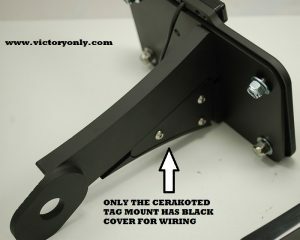 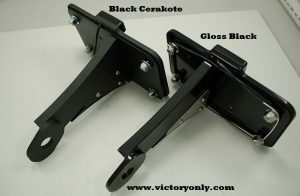 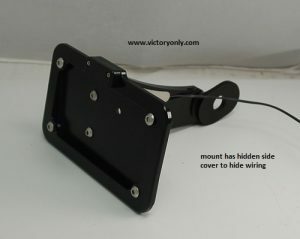 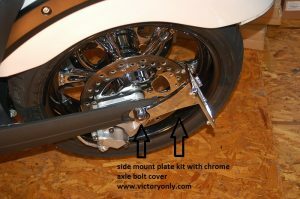 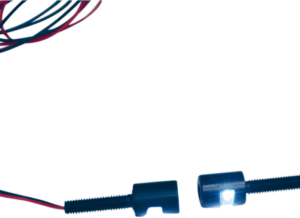 Victory Motorcycle Side Mount License Plate kits come with installation instructions and mounting hardware as required. 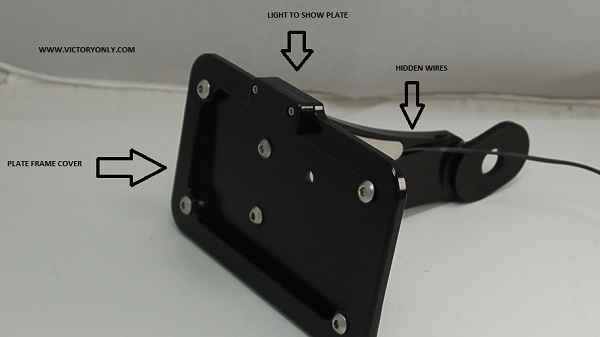 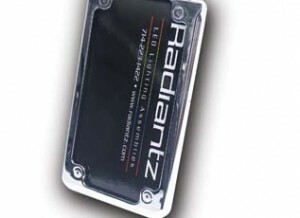 Depending on how you assemble it, your license plate will sit “Horizontal” or “Vertical” switch plate to your choice. 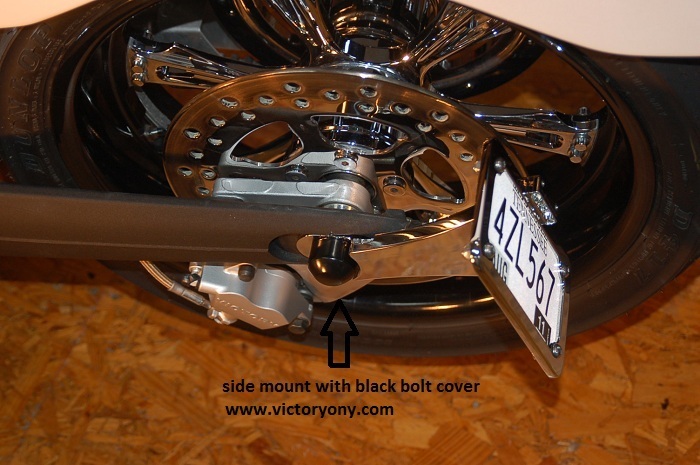 These Side Mount License Plate kits are machined from 6061 T-6 Billet Aluminum and brilliantly Chrome plated. 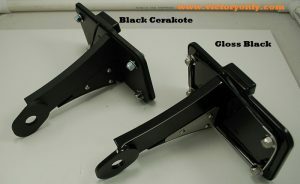 However they are also available in a Black Anodized finish too. TYPE: License Plate Mount Fits Victory Vegas 8 Ball, Victory Hammer 8 Ball, Victory Judge, Victory High Ball, Victory Jackpot, Victory Hammer, Victory Gunner, Victory Kingpin, & more!